We receive many first-time physical therapy patients who come in thinking their treatments will be painful, uncomfortable, or even agonizing due to the condition they are in. However, that is not the case at all! Our physical therapists have several tools in their arsenal that are meant to relieve your pain, while simultaneously improving your body’s function. Are you looking to ease some discomfort and heal at the same time? If so, contact Partners in Physical Therapy today to set up a consultation! Your treatment plan will likely include several different therapies, all aimed at helping a specific function of your body. Some exercises may focus on improving your balance and strength, while others may focus on increasing your range of motion. Manual therapy is a crucial part of a treatment plan, as it helps to reduce pain and swelling, minimize inflammation, and increase range of motion. If you are interested in gaining the many benefits of manual therapy, contact Partners in Physical Therapy today at Lake Charles, LA center! 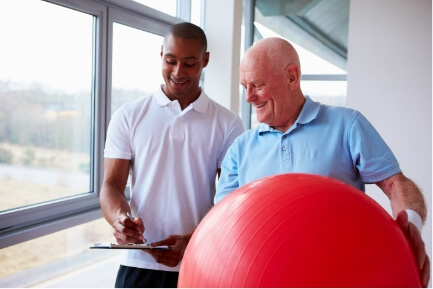 Our dedicated physical therapists will be happy to meet with you get you moving once again.